The headphones with the boom mike are the newest edition to the product line. You may or may not need the microphone yourself. We like it because it forces our son to sit still during those online phone calls. Without being tied down to the system with the wire, he has a tendency to literally run off mid call, and doesn't always return. At least with the headphones, he'll sit still a little longer. Another usage of the microphone is for those language lessons online or DVD. We haven't tried those (yet), but the combined microphone and headphones would work out great for those, too. The specs on the thing... it weighs in at 8 ounces. It comes in lots of different colors. With the microphone, you have your choice of gray, pink, or blue. Without the microphone, your choices are even more with gray, pink, orange, blue, green, purple, and black. It has a 3.5mm (⅛") audio plug. Any audio device that supports a microphone. Prices are $29.99 for the microphone model and $19.99 without. Amazon price with the mike is $21.99. 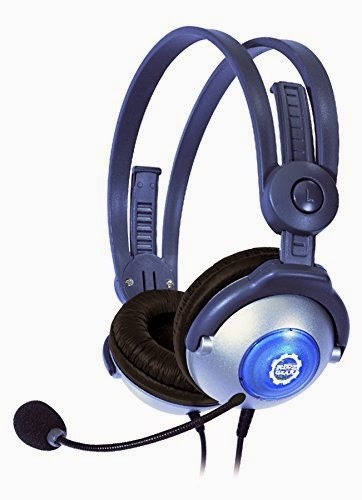 They're an adult class audio quality headphones sized perfectly for a child.